My name, my True Name is Ashallayn’darkmyr Tallyn. I am the last remaining son of Mab, Queen of the Unseelie Court. And I am dead to her. My fall began, as many stories do, with a girl . Then Meghan Chase, a half human, half fey slip of a girl, smashed through his barricades, binding him to her irrevocably with his oath to be her knight. And when all of Faery nearly fell to the Iron fey, she severed their bond to save his life. Meghan is now the Iron Queen, ruler of a realm where no Winter or Summer fey can survive. With the unwelcome company of his archrival, Summer Court prankster Puck, and the infuriating cait sith Grimalkin, Ash begins a journey he is bound to see through to its end, a quest to find a way to honor his vow to stand by Meghan's side. This will contain spoilers so be aware. 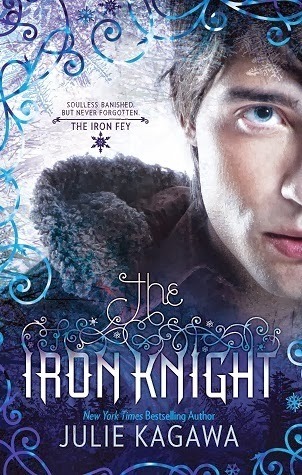 We end the previous book with Ash being pushed out of the Iron realm by Meghan for his safety. This book starts his quest to find a way to be with her. I should mention hat this quest reads like an Indian Jones movie of the The Mummy movie with Brendan Fraser. Anyway, Ash's quest is to become human. This is where I have a problem. It’s not a choice he would have ever considered if not for her. Thus, he’s not doing this for himself, he’s doing it to be with her. And yes, on a basic level that sounds almost gallant. But this isn’t changing a bad attitude. This isn’t becoming a better person. This is changing one’s race. What are we telling young adults? If your Christian and fall in love with a Jewish person, change your religion and not because you have a change of faith, but because you want to be with someone. And in Ash’s case, there isn’t take backs. Or how about one’s skin color. Find a way to change that so you can be with someone. It just suggests that if you aren’t good enough, change who you are as a person down to the cells in your body only because you wish to be with someone. Whatever, I’m just disgusted. I won’t give away the ending but I wasn’t happy. I will not be moving on unless one of my reading friends convinces me otherwise. My book boyfriend is and always has been Puck.